Get the daltile massalia 4 in. x 4 in. 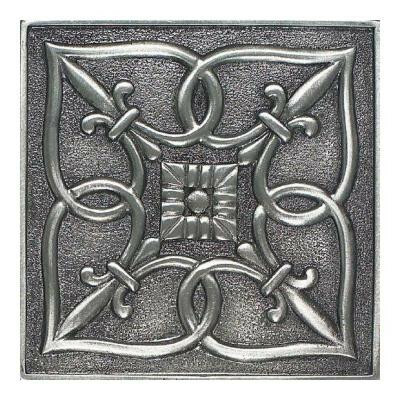 Pewter metal fleur de lis wall tile to incorporate a touch of traditional style into your indoor or outdoor decor. With its durable, frost-resistant metal construction and its impervious water absorption rating, this square-shaped tile is a great choice for installing or renovating walls and backsplashes, and its textured, unglazed finish and its attractive coloration suit a broad range of decorative schemes. You can buy this product in our internet market. We will be glad if you make the right choice.